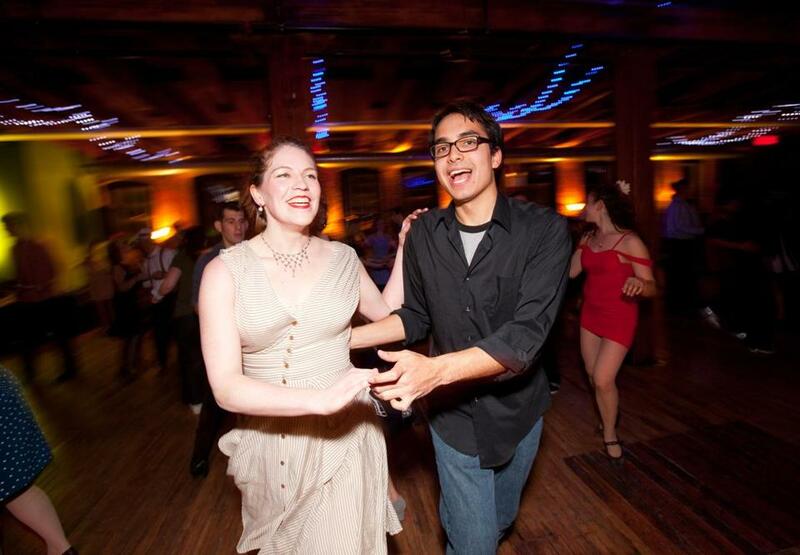 Abigail Courage of Somerville and Teddy Tablante of Saugus dance at s Boston Swing Central party in Charlestown. A weekly roundup of events around Boston. See the Photo Gallery for the latest pictures, and to submit your photos for publication, e-mail outandabout@globe.com.